Do I need a ticket to attend Or Ami’s High Holy Day services? There are no tickets or reservations required. You can simply show up 5-10 minutes before the service begins and find a seat. If you would like to sit with multiple family members and/or friends, we recommend that you arrive at least 15 minutes before the service begins and find your seats together. There are no seat or row reservations. How much does it cost to attend the High Holy Day services? While most synagogues in America charge for High Holy Day tickets, we do not charge anything to attend our High Holy Day services. For over 40 years, Or Ami has been committed to ensuring that everyone who wishes to pray, reflect, and celebrate with us is able to do so regardless of financial circumstances. 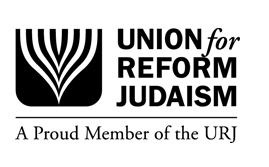 At the same time, it does cost our community a significant amount of money each year to rent the JCC, hire a cantor and skilled pianist, print our services, and provide the paper goods for the Rosh Hashanah Onegs and Yom Kippur Break Fast. 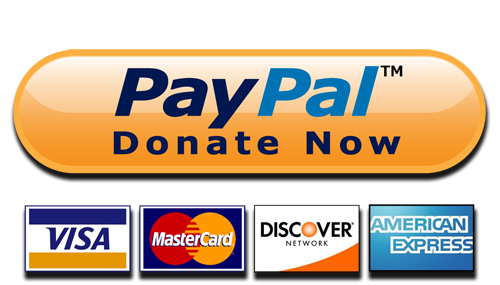 We greatly appreciate any and all donations that help us to defray these costs. 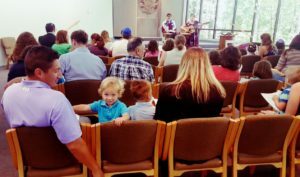 Are children welcome at the High Holy Day Services? We offer special Rosh Hashanah and Yom Kippur Family Services at 4 pm. Children of all ages along with their parents and grandparents are encouraged to attend these services with child-oriented music, stories, and activities. Please note that apples, honey, and cake are offered at the Rosh Hashanah service, while no snacks are served at the Yom Kippur service. We recommend that children age 10 and older attend the adult services with their families. We also offer babysitting at the JCC for younger children who may find it difficult to sit through an adult-length service. A donation of $5 per child is suggested to help cover the cost of providing professional babysitters. All of our Rosh Hashanah and Yom Kippur services are held at the JCC (5403 Monument Ave), except for the Rosh Hashanah Family Tashlich Service, which is held at Or Ami (9400 Huguenot Road) so we can do Tashlich together at the lake. Do you provide any special seating accommodations? If you contact the Or Ami office in advance, we can arrange the seating at the JCC to accommodate wheelchairs and other special seating requirements. If you have back pain, you are welcome to bring your own special cushion to make the JCC’s folding chairs more comfortable. 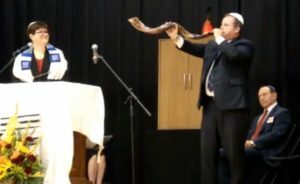 How do I make sure my loved one’s name is read aloud during the Yizkor service? If you wish to remember loved ones who have passed away, you can contact the Or Ami office or fill out the online form to request that their names be added to this year’s memorial book. A voluntary donation of $18 for one name or $36 for more than one name helps to offset the costs of printing the Yizkor book each year. You are encouraged to take a copy of the Yizkor book home with you after the service. If you were not able to share a loved one’s information with us before we printed this year’s Yizkor book, you can also add their name to a paper list on one of the tables in the JCC hallway. Please be sure to write legibly. How can I help with the High Holy Day services? What sorts of food should I bring for the Community Break Fast? At the conclusion of Yom Kippur, we have a community meal to break the fast. If you are an Or Ami member, you will receive an email from us with a Sign Up Genius link mentioning specific foods that we need such as honey cake for Rosh Hashanah and bagels for the Yom Kippur Break Fast. What are the best items to donate as part of the High Holy Day food drive? Each year as part of our High Holy Day experience, we collect non-perishable foods to donate to vulnerable populations, such as children, families, and seniors living in poverty. Where can I see a copy of the rabbi’s High Holy Day sermons? Rabbi Ahuva usually posts the text of her High Holy Day sermons on Facebook later that day. You can also email the rabbi for an electronic copy to pass along to friends who may wish to read a particular sermon.